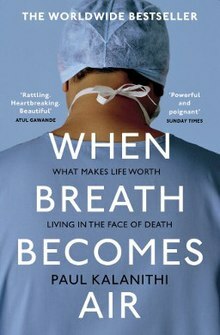 Now that I’m reading Noah Trevor’s biography, I’m reminded that I read Paul Kalanithi’s biography “When Breathe Becomes Air” last year and thoroughly enjoyed that as well. A prominent neurosurgeon, Kalanithi died at the age of 37 while writing his book, which, in 2017, became a finalist for the Pulitzer Prize. I wanted to share his view on God as today is the start of Holy Week and I, too, have struggled—not so much in my belief in God, but the countering view of my scientific friends. Today marks 40 days of Lent and one last week to go. It’s been an enlightening journey for me. I hope you’ve enjoyed my daily posts. You can see a list of my favorite books here.